1-CD DigiPac mit 32-seitigem Booklet, 33 Titel, Spieldauer 76:26 Minuten. 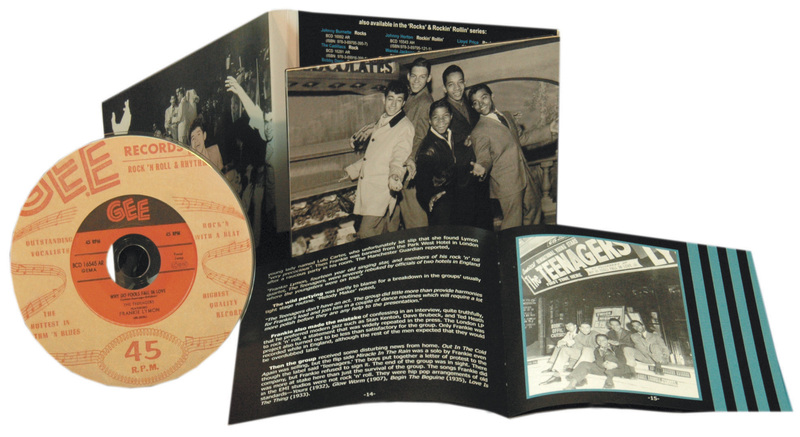 CD mit 50s-Klassikern wie Why Do Fools Fall In Love und I'm Not A Juvenile Delinquent! Der Beginn des Rock 'n' Roll ' für Teenager, von Teenagern und über Teenager! 33 Klassiker aus der Singles-Ära auf einer Einzel-CD! Die ganze Bandgeschichte ' mit Frankie Lymons Abstieg in die Sucht und seinem frühen Tod. Er war eines der ersten Opfer des Rock 'n' Roll. Super-Musik! Eine tolle Story! Spitzen-Fotos! Alle Teenager haben Träume, einige davon werden wahr. Der kleine Frankie Lymon wollte ein großer Star sein ' und so kam es. 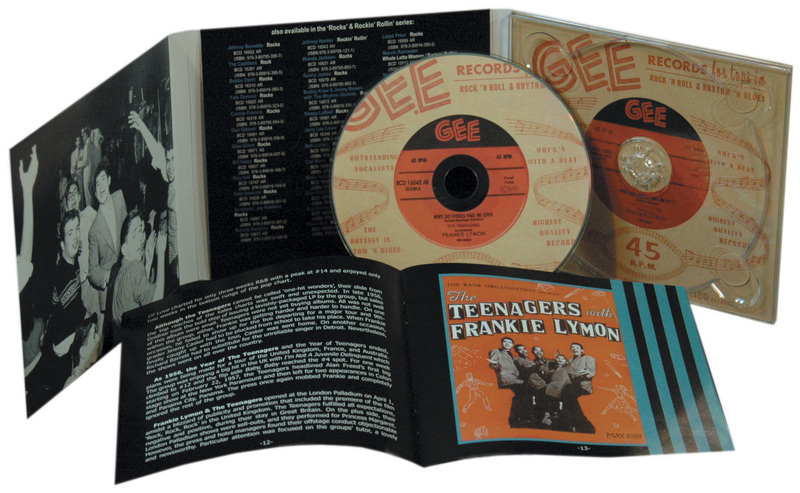 Noch keine 13 Jahre jung, schrieb und sang er einen Titel, der zum Schrei einer ganzen Generation wurde: Frankie Lymon, der Teenager, sang ihn für andere Teenager. Sie wußten, worüber er sang, weil sie genau das täglich selbst erlebten. Seine Songs schufen einen Rock 'n' Roll als Musik für und über andere Teenager. Auf dieser Kopplung mit Hits und seltenen Tracks wurde Frankie Lymon von Song zu Song erwachsener. Hinter den Kulissen dominierte zunächst die Freude über den Erfolg ' dann ging es bergab in die Sucht und in eine sich rapide verschlechternde Gesundheit. Geblieben ist uns nur die Musik. Wir präsentieren die Originalversionen einiger unsterblicher 50s-Klassiker. Hier werden alle Traditionen über den Haufen geworfen, dieser Sound brachte die Welt ins Wanken. 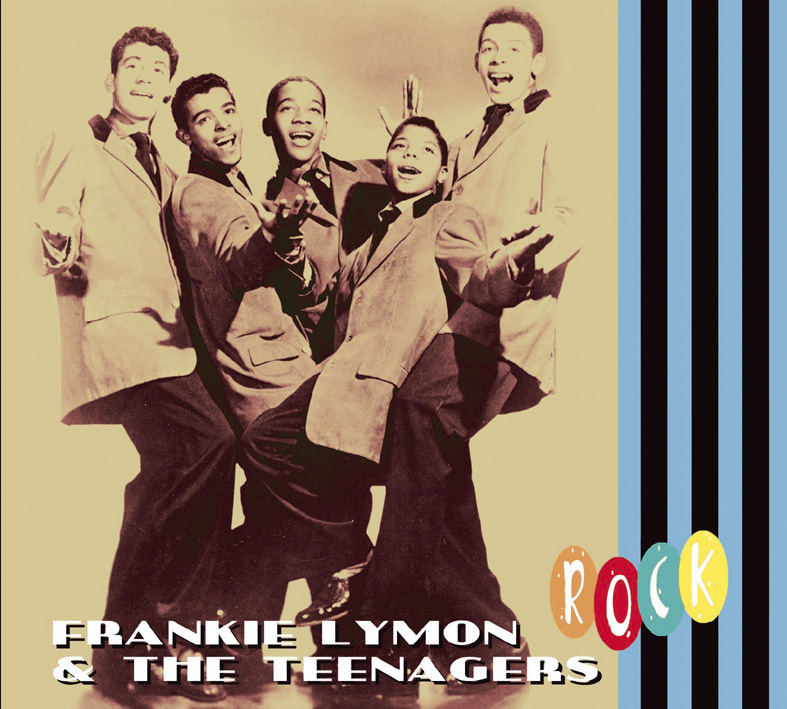 "Frankie Lymon & The Teenagers"
Frankie Lymon was born in New York City on September 30, 1942. His father, an amateur singer, sang with a church group and soon had his young sons, Howard, Jr., Frankie, and Lewis, working in a junior version of his group. By 1954, Frankie and Howard, Jr. were playing bongos and congas in a mambo group called the Esquires. Besides appearances at Frankie's school, Edward W. Stitt Junior High in Washington Heights, the Esquires made at least one showing at the Apollo Theater's Amateur Night. Like all schools in the Greater New York area in the early 1950s, Stitt had its share of amateur singers. Among those at Stitt were Jimmy Merchant and Sherman Marlow Garnes. Merchant, born February 10, 1940, had been singing since he was nine years old. He and Garnes, born June 8, 1940, shared a love of harmony singing. 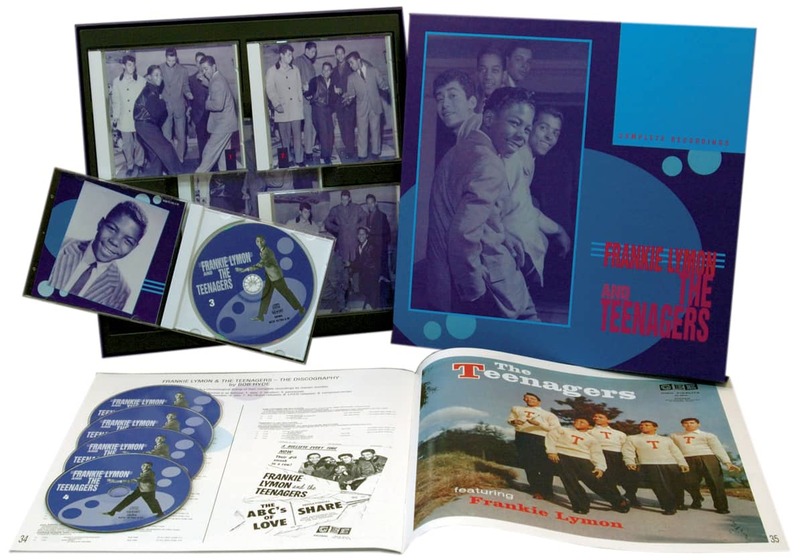 They joined two neighborhood friends, Joe Negroni, born September 8, 1940, and Herman Santiago, born February 18, 1941, and called their group the Ermines with Santiago as first tenor, Merchant second tenor, Negroni baritone, and Garnes bass. After seeing ex-schoolmates, the Cadillacs, as guests at one of the school talent shows, the boys picked a new name, Coupe DeVilles. They already knew Frankie, who lived right across the street from Santiago, and at a rehearsal at the school, Frankie asked if he could sing along with the Coupe DeVilles on a few of their songs. The 12-year old slipped into the harmony routines quickly and showed an exuberant show business flair. Both the Lymon group and The Coupe DeVilles did well on the amateur show and Frankie began singing with the older guys from that point on. He did the high tenor voice in the harmony parts and duets with Santiago, and the quintet called themselves the Premiers. Santiago was the usual lead singer and the songs they sang were the R&B hits of the day such as Hearts Of Stone, Work With Me, Annie, Have Mercy Baby and Shake A Hand. The presence of a 12-year old was not all that unusual. 'Kid stars' such as Little Esther, Teresa Brewer, and the nine-year old boogie-woogie star Sugar Chile Robinson, have always had a place in the music business. Best of all, the Premiers even had a few original, unpublished songs to sing, a definite requirement for success in the business. Original material was the key that opened the doors to recording studios. The record company could publish a hit song and collect the royalties, and most insisted on new material from new un-tried artists. The Premiers all worked together to come up with new songs. Herman Santiago brought in a catchy rhythm number about "going downtown" (a favorite teenage activity in the 1950s) called I Want You To Be My Girl. In the audience for one of the Premiers' amateur shows was Richard Barrett, whose own Valentines were enjoying a hit record. Barrett knew the Premiers. He lived above the grocery store where Frankie was working and had often heard the group singing on the street corner. Besides singing lead for the very popular Valentines, Barrett worked as a talent scout for George Goldner's Rama/Gee Records and he invited the Premiers to audition for the company. One of the songs they tried out was Why Do Birds Sing So Gay with Frankie doing the lead, and Goldner was impressed with the song and Frankie's voice. He said Frankie should sing lead from then on and apparently it was Goldner's idea to change the lyrics and title to Why Do Fools Fall In Love, and also change their group name to The Teenagers. "We were ignorant. We did not understand contracts. We didn't know what publishing was. We didn't know about percentages. They said 'We'll take care of you, the money will be there when you turn 21' and we believed them." "Frankie barely did anything on that song. It was Herman and me. In the beginning I was angry at Frankie, but through the years I began to realize that he was completely manipulated by those people." To further muddy the waters, Goldner sold his company in 1964 to Morris Levy, and wrote a letter to the Register of Copyrights saying that Levy should be listed as coauthor of the song. Levy, on the other hand, said that Frankie sold all of his rights to him for between 1000 and 1500 dollars. Over the years the battle for the rights to Why Do Fools Fall In Love raged on. At one point, three women claiming to be Frankie's 'widows' stepped into the courts demanding their share of the lucrative copyright. 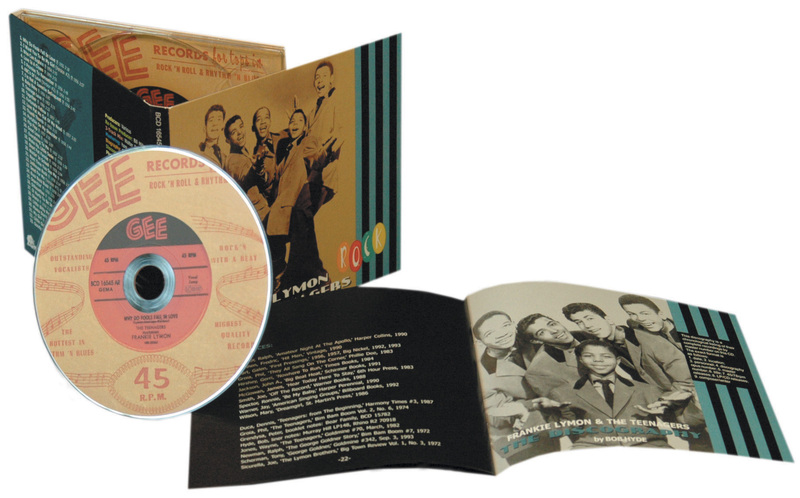 After all the litigation, the song is now credited to Frankie Lymon and Morris Levy and their heirs and assignees receive substantial amounts of money as the song continues to be recorded and performed. It has become one of the great standards of rock 'n' roll. Kundenbewertungen für "Frankie Lymon - Frankie Rocks"